If you've been following our SoC and smartphone related coverage over the past couple of years, you'll probably remember how Qualcomm let us take home an MDP8660 from MWC 2011 and thoroughly benchmark it. Qualcomm has done essentially the same thing this year, this time sending their latest and greatest MSM8960 SoC inside the aptly named MSM8960 Mobile Development Platform (MDP) just before MWC 2012. The timing is impeccable as we're fully expecting to start seeing MSM8960 based phones next week at MWC, and we've been telling you to hold off on any smartphone purchases until the 8960's arrival. Today we're finally able to give you an indication of just how fast Qualcomm's next-generation Snapdragon S4 will be. We've already been teased MSM8960 and Krait a few times, and have talked about the architecture and what to expect from the SoC itself. The super short recap is this: Krait is the name of Qualcomm's new out of order ARMv7-A compatible CPU architecture (previous generations of Snapdragon used Scorpion) which is designed for TSMC's 28nm process. Inside MSM8960 are two Krait cores running at up to 1.5 GHz, Adreno 225 graphics, improved ISP and Qualcomm's new baseband with support for nearly every air interface out there. The MDP we were sampled is clearly a descendant of the MDP MSM8660 we were given last year, sharing the same black utilitarian look and purpose-built design, though it's notable that the new device is markedly thinner. MDP MSM8960 is running Android 4.0.3 at 1.5 GHz, and includes 1 GB of LPDDR2, and a 4" 1024x600 display. It's an interesting note to make that both Intel and Qualcomm have somehow settled on 1024x600 for their reference designs. We also asked Qualcomm for a copy of the old MDP8660 for comparison purposes, just to see how far we've come since the first dual core Snapdragon SoC. We're taking a look at just CPU, GPU, and power performance today on MSM8960, as cellular baseband is disabled on the MDP just like it was when we looked at the previous MSM8660 MDP. We'll get a chance to investigate that further in the future, again right now the key areas are CPU, GPU, and power. 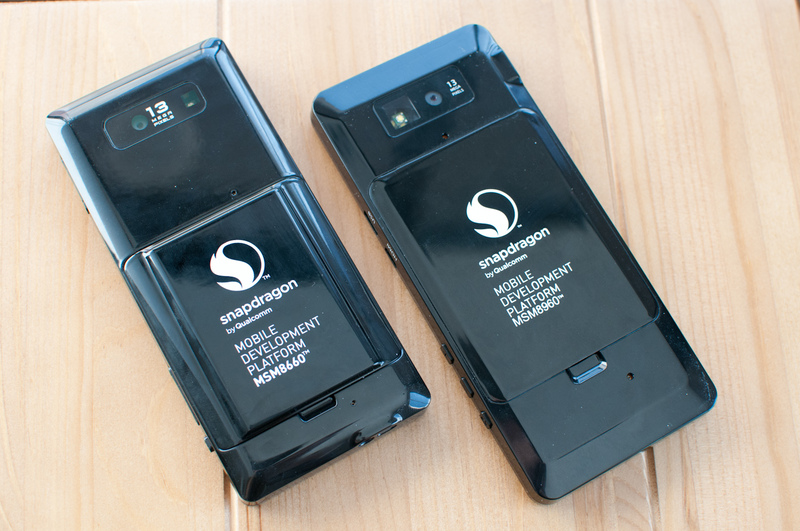 As we talked about in the previous MDP piece, the purpose of the MDP is just to serve as a reference design for both Qualcomm to get its Android port running on, and also for individual developers to profile and test their applications against. 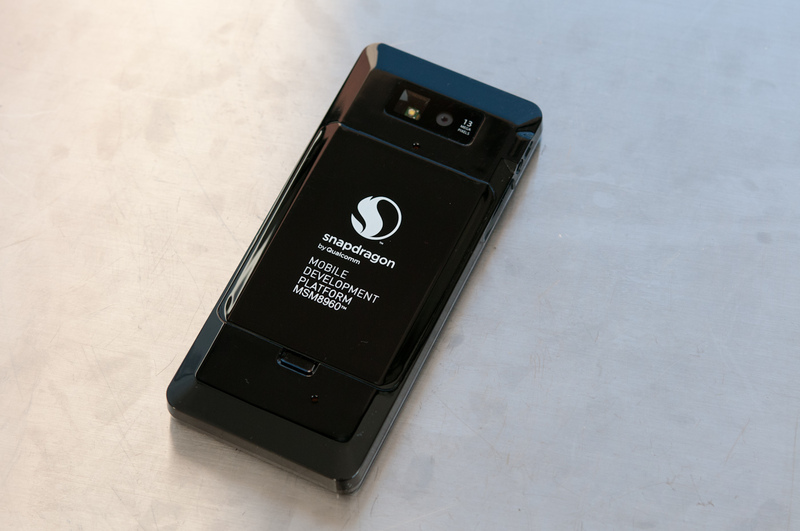 It's analogous to TI's OMAP Blaze platforms - you won't ever likely see one out in the wild, but it's a reference target that the silicon vendor leverages to port Android, and a piece of hardware that OEMs can use as a reference when they start customizing and building handsets. Just like last time the MDP also comes with a software build that lets us easily enable or disable vsync on the device, restart surfaceflinger, and then run benchmark tests. There's no such analog for shipping retail devices, only development builds contain this functionality. As there are parts of each benchmark that could instantaneously peak over vsync's 60 FPS on some of the shipping platforms we're comparing to, we're providing results with vsync on and off. In addition, last time when we ran tests on the MDP MSM8660 I noted that the governor was set to "performance" mode, which means it doesn't adaptively change CPU frequency as a function of load - it was 1.5 GHz all the time. This time the MDP MSM8960 came running with the much more typical "ondemand" governor selected, which does scale CPU frequency as a function of load, so there's less of a concern about the lack of pauses while the CPU changes performance states making results non comparable. "ARM hasn't published DMIPS/MHz numbers for the Cortex A15, although rumors place its performance around 3.5 DMIPS/MHz." If by "faster", you mean more FPS in a 3D game, then yes.